I just found a new happy place, a place where I can get pampered all day long! 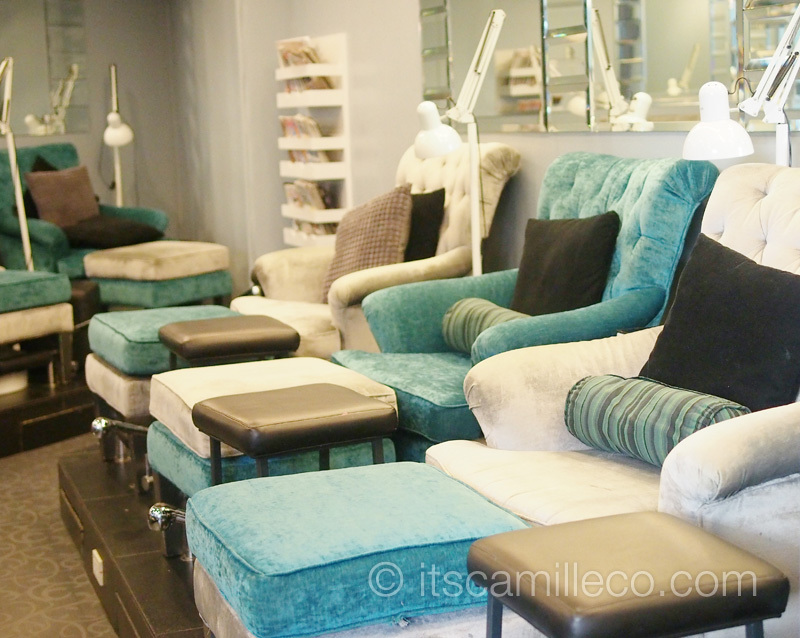 I’ve been mentioning it quite a lot here on my blog and on Twitter, it’s none other than Nail Spa Lounge by Ellabell. I go to this branch located at the lower ground level of Northeast Square, Connecticut Ave., Greenhills. This is where all the magic happens. It’s like a one-stop shop for a woman’s grooming needs. I go here to get my nails and lashes done, get my body waxed or simply get a massage. I love everything about this place–from the decor to the chairs to the ambiance. It’s just so serene and relaxing. Even their tea is something I look forward too! 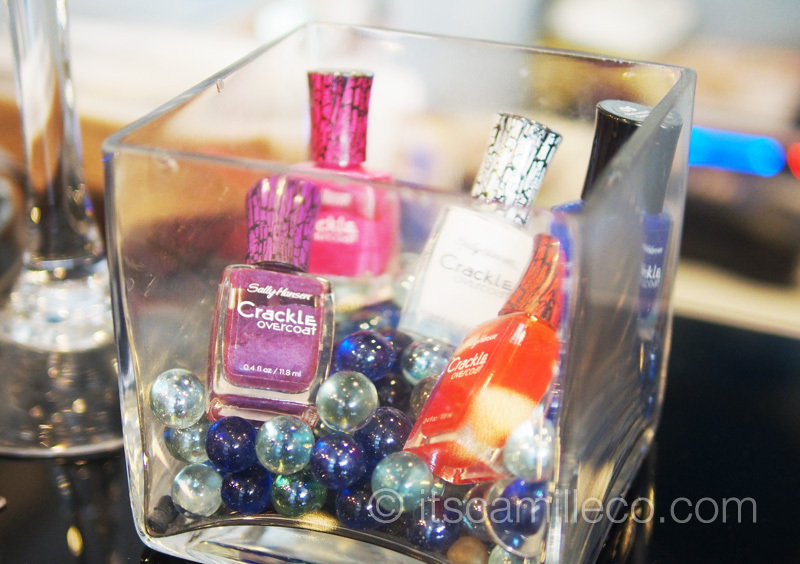 Nail Spa Lounge offers cracked, gel and ordinary nail polish. They have a lot of brands and colors. Orly, China Glaze, Misa and Sally Hansen are just a few of the nail polish brands they carry. 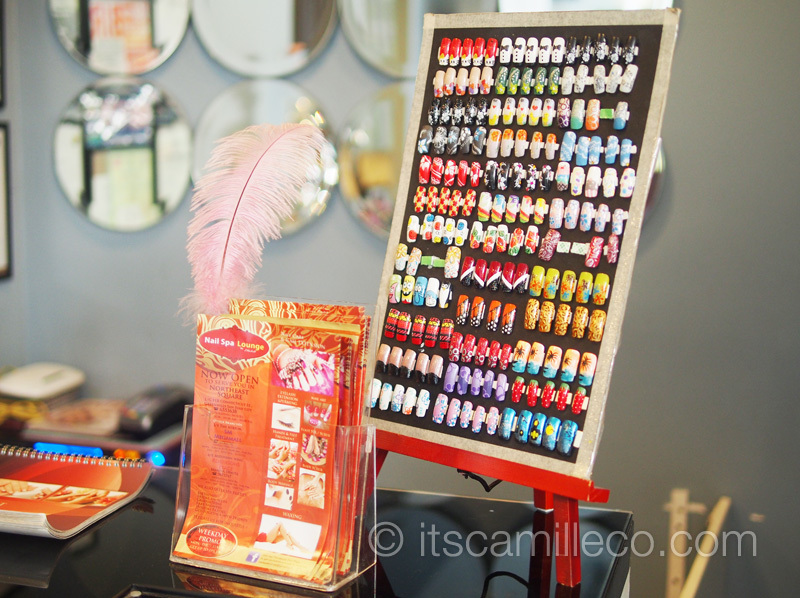 Nail Spa Lounge also offers nail art. I get mine done by Abby. If you don’t like any of their nail art designs, you can just show Abby a photo of the nail art that you want and she’ll do it for you! Abby is amazing! She was the one who did my Halloween nail art here. If you’re not into nail art, try one of my favorite services from Nail Spa Lounge–their primadonna hand and foot spa. It’s the usual mani and pedi plus massage and treatment and so much more. Primadonna will really make you feel like a princess! 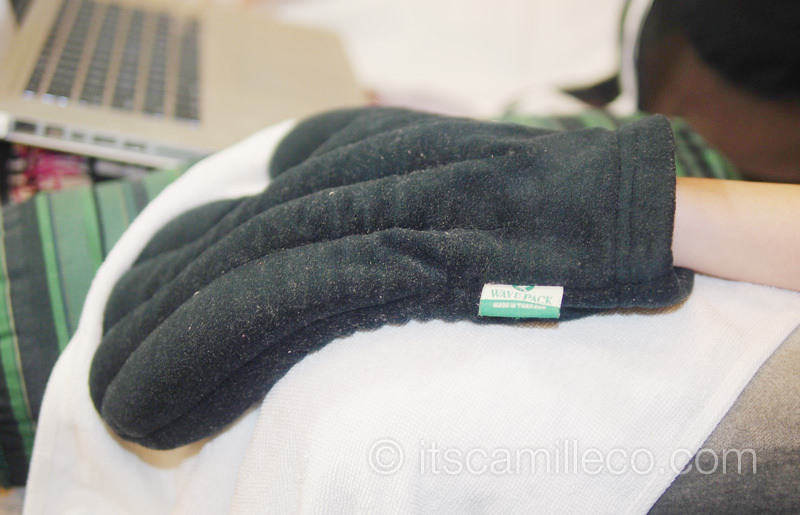 This is one of my favorite parts of the treatment when they wrap my hands and feet in hot packs. It feels so therapeutic. It’s as if all the stress on my hands and feet are being whisked away to a far far away land, never to return again. Another thing I love about Nail Spa Lounge is that all the technicians are very accommodating. They’re always smiling and ready to take on any challenge. 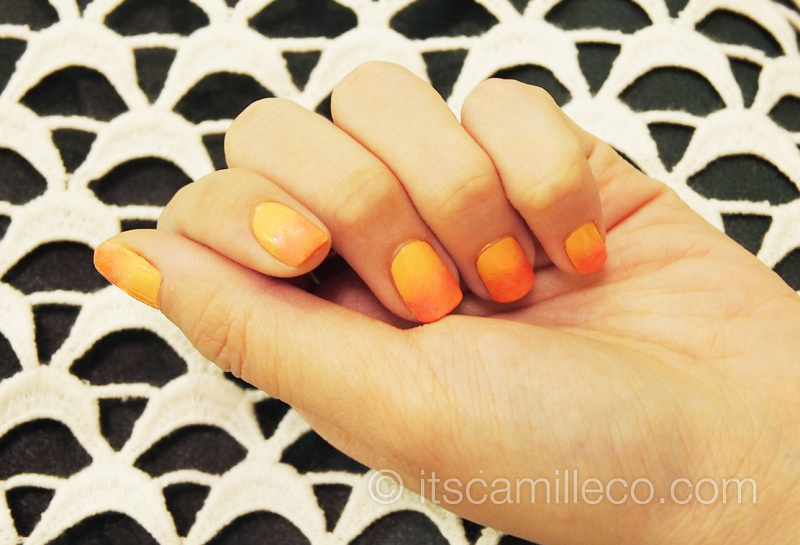 Last week, my challenge to them was to paint ombre nails. Technician Maricar was game as ever! Voila! I’m telling you, I was in love with my ombre nails for the longest time! If only I could go months without removing them, I would! After I get my nails done, this is where I usually go to get my lash extensions done. That’s human hair strands carefully glued one by one on my lash line. Maricar is also the one who does my lash extensions. Close na close na kami because I’m always in this room for my extensions. I chat her up endlessly! Out of all the lash extensions that I’ve tried, Nail Spa Lounge’ lash extensions are my favorite (and my friends who’ve seen me remarked as well). I think it’s because they’re not synthetic hair so they feel light and look natural. You can really see the difference especially after a few weeks when the extensions are starting to get deformed and such. 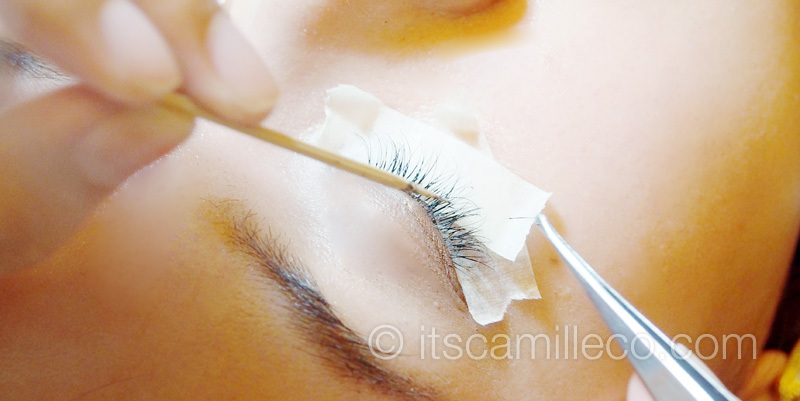 Unlike other lash extensions, they don’t go in all sorts of directions, looking all weird and clumpy. I swear I’m addicted to their extensions! They cut down make-up time by A WHOLE LOT! 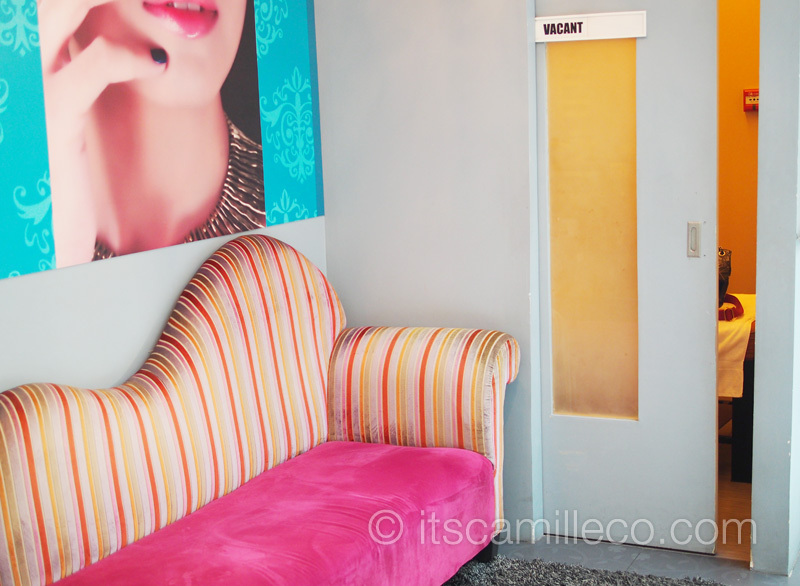 If you want to check out Nail Spa Lounge By Ellabell yourself, you can visit this branch or their other branches at Robinsons Place, Ermita and Megamall. Follow them on Twitter and Facebook too for promos and updates! How much does it cost for the ombre nails? love the place! sana meron din dito sa Cebu. i wanna try that! is the price reasonable? the ambiance is really good. :) its sooooo relaxing. 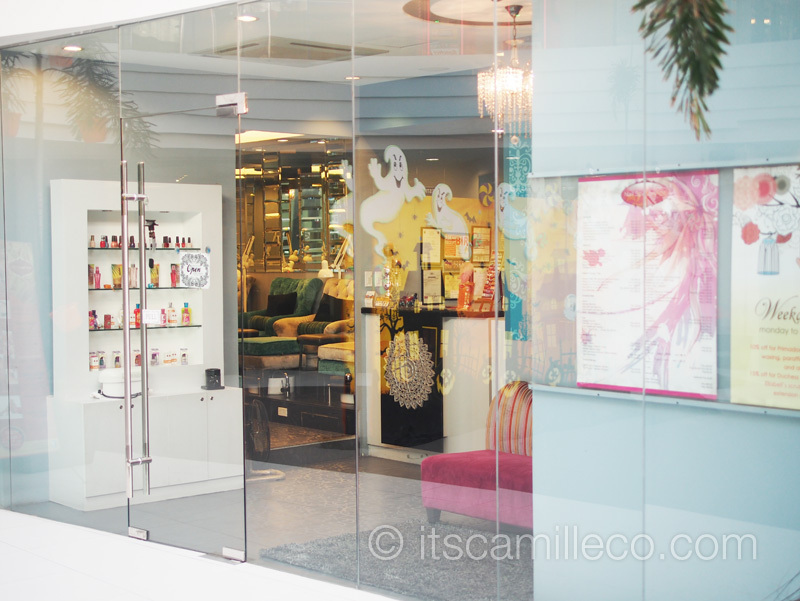 I really want to visit this nail spa na tuloy! this place looks very relaxing! How often do you have your eye lashes done? Do you still put mascara if ever? When I have extensions, no na :) You can’t put mascara. I don’t know how often I have them done but I’ve been getting them done quite a lot lately haha! Getting addicted! Wow! You’ve got a sharp eyesight! i love your sideways pic camille! 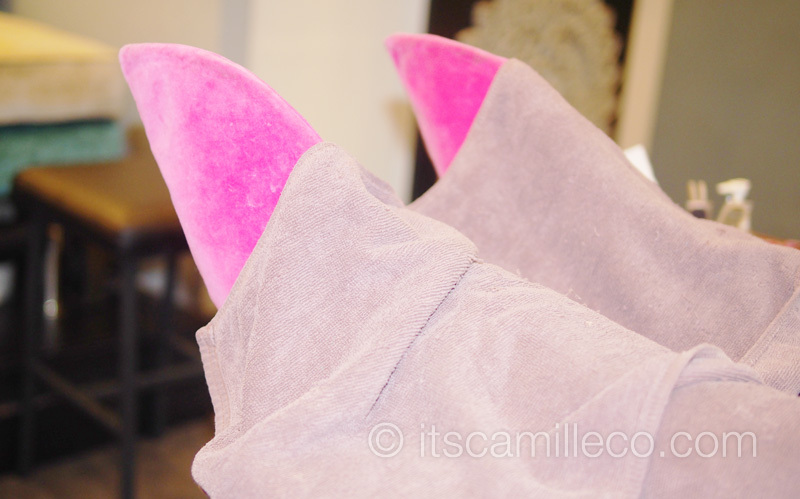 you eyelashes are sooooo long :) and the couch colors are so girly. I really love this place so go and try it! I agree~ I love your ombre nails!